Celebration vector footage with marching cheerleaders. Tall fit girls wearing hats and short skirts. Tall buildings and fireworks in the sky. 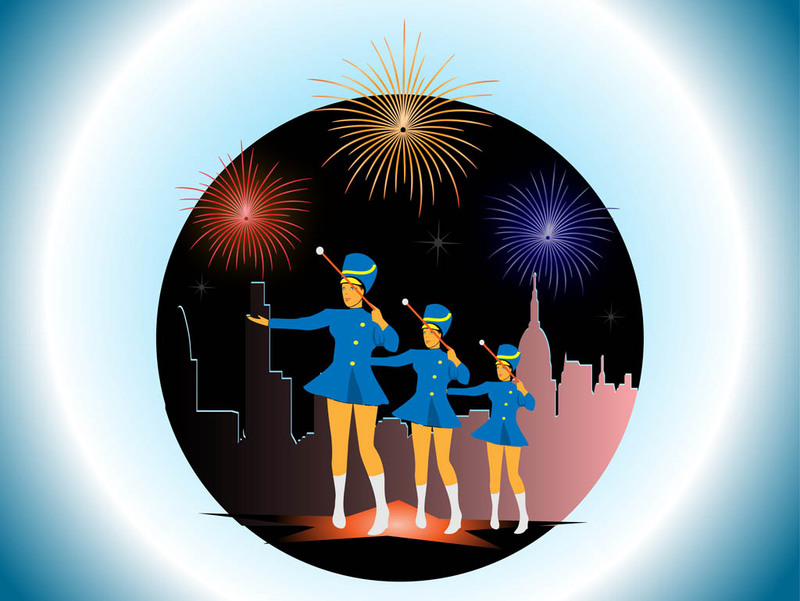 Free vector graphics for holidays, special occasions, parades, celebrations and New Year’s Eve visuals. Cheerleaders layout for greeting cards and invitations. Tags: 4Th Of July, Celebration, Cheerleaders, Dance, Fireworks, Holiday, New Year.